The Clemson University Sexuality and Gender Alliance (CU SAGA) is a group of open-minded students, faculty, staff, and friends who have come together to share their support for the Lesbian, Gay, Bisexual, Transgender, and Queer [LGBTQ] Community. CU SAGA's primary goal is to create a stronger and more inclusive Clemson Family. Everyone is welcome at CU SAGA, regardless of sexual orientation or gender expression. LEARN MORE. 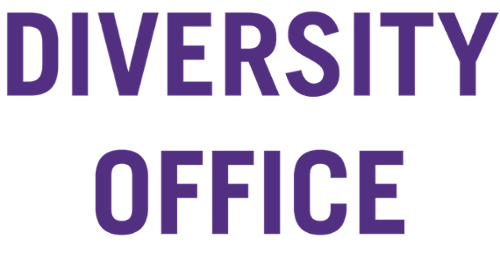 The Clemson University Lesbian, Gay, Bisexual, Transgender, and Queer (LGBTQ) Task Force serves in an advisory capacity to university administrators, faculty, staff, and students regarding matters that affect LGBTQ people. LEARN MORE. The Center for Career and Professional Development maintains a directory of LGBTQ-related career resources, including the excellent “Out at Work” library of resources. Check out relevant legal issues, search for jobs with LGBTQ-friendly employers, and explore related issues. LEARN MORE. The Harvey and Lucinda Gantt Multicultural Center is committed to creating diverse learning environments that foster the holistic development of our students. The center supports and advocates for the needs of all students, challenges students to think critically about themselves and their communities, provides engaging experiential learning opportunities, and empowers students to be positive change agents. LEARN MORE. Ally Training aims to increase awareness and understanding of LGBTQ issues and to train allies to stand with — and advocate for — LGBTQ people. LEARN MORE. Students who have a preferred name that is different from their legal name(s) can specify that name here. The preferred name will appear in the student directory, Canvas, and class rolls. LEARN MORE. The Chief Diversity Officer and staff implement and provide strategic leadership for the university’s diversity plan, programs and policies; advise the president, administration, faculty, staff, students and campus inclusive-focused groups and committees on diversity issues; collaborate and serve as a resource for colleges and administrative units as they establish, coordinate and assess contributions to diversity goal, and provide policy expertise and accountability on all aspects of inclusion and diversity for the university. LEARN MORE. If you believe you have been subject to an incident or a pattern of harassment, discrimination or bias, contact the Office of Access and Equity. Depending on the category of people involved (other students, faculty, staff, residents, etc) that office will either handle the report or guide you to the appropriate office for your particular situation. "A robust, diverse student body is a critical ingredient in a great modern university. Clemson is committed to ensuring that all students feel welcome, supported, and have the ability to succeed at the very highest level. I am delighted to see campus student organizations leading the way forward on LGBTQ issues, and I hope we can all work together as a campus community to enact meaningful change for the better. Here at Clemson, I see energy within our student body, our faculty, and our staff to create meaningful change for the better — for all students, and particularly for students who identify as LGBTQ. Our work is far from done, but I believe we are moving in the right direction — with your help. " The resources below are not University-sponsored or endorsed; they are here to give students a head start in finding community-based resources of interest.